Over the last quarter of 2018 we hosted three events covering a wide range of WorkerTech topics. In London we discussed what good work in the gig economy looked like. In Bristol worker voice and empowerment was explored. A visit to Manchester saw us talking all about the problems and solutions to skilling the future workforce. These events have been a fantastic chance to explore the future of work from many angles. However, with a building momentum of early stage startups tackling such issues, we decided to hold an event to focus specifically on how to get a WorkerTech venture launched and funded. So, on Monday we invited those with an idea or venture using tech to improve the prospects and power of workers to join us for an evening of talks and discussions. After some relaxed networking, we kicked off the talks with Fabian Wallace a researcher in the RSA’s Future Work Centre and lead on the Future Work Awards. Fabian spoke about how headlines’ fixation on the threat of AI and robotics is flawed and how there are less glamorous but perhaps more relevant innovations causing significant changes to the world of work, such as e-commerce platforms and IoT. One of the key messages that was delivered is that ‘the only certainty is uncertainty’ – highlighting the need to prepare for multiple potential eventualities. Next, we heard from BGV’s Jessica Stacey. Having worked on the WorkerTech partnership with Accenture and Resolution Trust since its inception, Jess spoke about our previous investments including Organise, Labour xchange and workerbird. 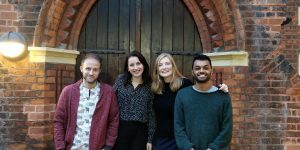 Jess also expanded on the £20,000 investment opportunity for WorkerTech ventures via our accelerator programme focused on tech for good ventures, for which applications are currently open. 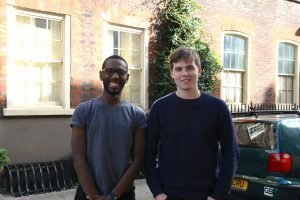 Sharing another funding opportunity was Joe Ludlow, while also one of BGV’s venture partners, Joe was invited to instead speak to us from his newly appointed position at the UFI Charitable Trust. The trust works to raise UK skills levels by promoting innovative digital solutions for adult vocational learning. Joe shared the chance for teams working in this area to secure up to £50,000 through their VocTech Seed Fund, for which applications close on 8th Feb 2019. Finally we heard from Nat Whalley, founder of BGV WorkerTech alumni Organise – a platform facilitating workplace campaigning. With recent successes covered in multiple national press outlets, it was a great chance to hear Nat’s experience of launching and funding her venture. She spoke of how a relatively no strings attached grant from Lush (the soap shop!) got them started, and how a seemingly failed pitch event actually found them a significant grant. Nat’s take away message was, keep pitching and keep trying, because someone out there will get your idea. Wrapping up with a fantastically engaged Q&A session we covered a range of questions, including – what are the low to no equity funding options; how can we match people with ideas with the developer talent to build them; and many more. We’d like to thank all those that attended and were pleased to see valuable connections being made. Thanks to our fantastic speakers, and Toynbee Hall for hosting us. If you’re interested in how tech can positively shape the future of work, do join the WorkerTech meetup page. 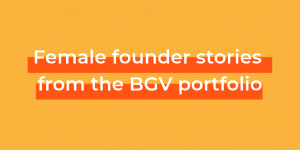 And for those looking for funding and support for their early-stage tech for good ventures, including WorkerTech, make sure to check out and apply to BGV’s next programme!